The imported beeline lead rail, imported stepper engine with the lower speed running structure, the cutting is very stable, the cutting face is smooth. High intention, high precision mechanic structure design, the data control is stable. Input the American imported focusing lens and mental condensing lens, the cutting strength is high. Co figurate the industrial water cooling system with protection, the continuum work ability is stable. 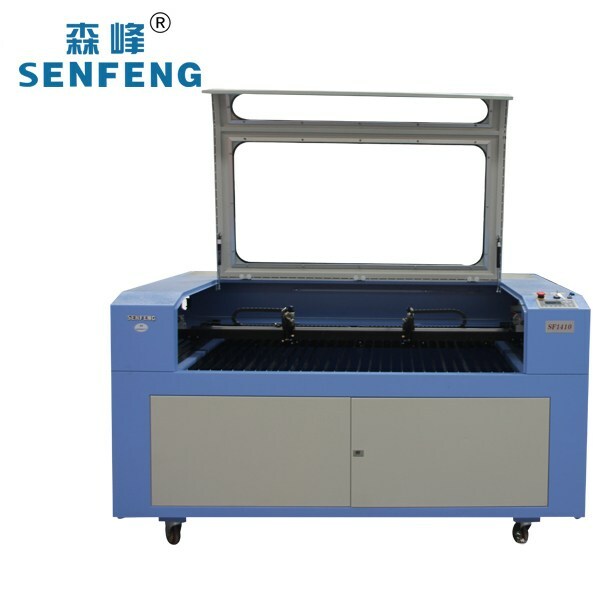 The compatibility of the software is good, which can support the format of PLT, BMP, DXF etc. Billboards, artistic gifts, crystal ornaments, paper-cut, bamboo and wooden product, garment and leather, embroidery, decoration and upholster industry.